An interest rate differential is a difference in interest rate between two currencies in a pair. If one currency has an interest rate of 3 percent and the other has an interest rate of 1 percent, it has a 2 percent interest rate differential. The use of interest rate differentials is of particular concern in foreign exchange markets for pricing purposes. If you were to buy the currency that pays 3 percent against the currency that pays 1 percent, you would be paid on the difference with daily interest payments. This simple definition is known as the carry trade, earning carry on the interest rate differential. Developments in recent years have brought interest rate differentials to a new light that are worth investigating. There was a sharp divergence between developed market economies' interest rates and emerging market economies' interest rates in 2014 through 2016. 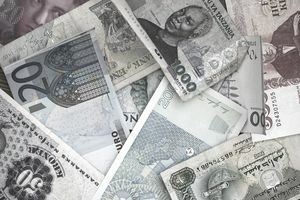 Developed market economies took their interest rates below zero to try and spur demand while emerging market currencies raised their interest rates in order to limit capital outflow and economic instability. In February 2016, the Bank of Mexico (Banxico) held an emergency meeting to raise its borrowing rate by 50 basis points while selling U.S. dollars at the market rate to spur demand for the falling Mexican peso. While this widened the interest rate differential between the United States and Mexico, it was also a sign to the market of instability or possible desperation by central banks to prevent the global economy from spinning out of control. Forex traders look to make the most of the ​negative interest rate policy with the carry trade. They do this by selling euros or Japanese yen (typically when their interest rates are negative) and buying emerging market currencies such as that of the Indian rupee, South African rand, Mexican peso, or Turkish lira. These trades, which on paper have very large interest rate differentials, could easily end up being risky trades, especially if the economic pain found in emerging market currencies continues or becomes more severe. While the carry trade does earn interest on the interest rate differential, a move in the underlying currency pair spread could easily (and has historically) fall and risk wiping out the benefits of the carry trade. The old saying "If it looks too good to be true, it probably is" can apply to interest rate differentials. In other words, when interest rate differentials widen too much, they have done so because the risk is seen as threatening to the borrowers in those countries. Especially if you are a new Forex trader who has just heard about the carry trade, proceed with caution. You may see negative interest rate currencies that look like attractive selling currencies while emerging market currencies seem to be alluring buying currencies. The frequent upheaval in commodities and uncertainty around China due to its tension with the U.S. administration as of 2018 continued to put pressure on the highest yielding currencies. At the same time, the introduction of negative interest rates, as well as uncertainty about quantitative easing's future, continue to see money flow to haven assets that often have the lowest or negative interest rates.